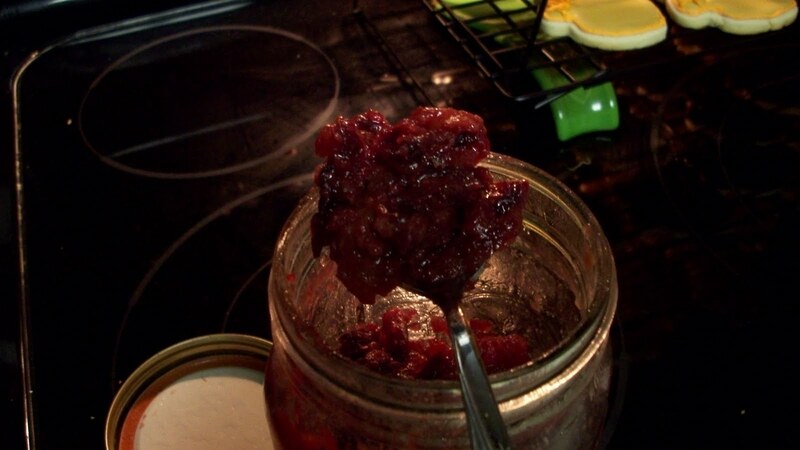 A delicious, simple alternative to canned cranberry sauce for Thanksgiving. This also makes an excellent appetizer as a topping for baked brie. Preheat oven to 400 degrees. Peel, core, and dice apples into about 1/2 inch chunks. Toss gently with orange juice, brown sugar, ginger and cloves in a 9x13 pan. Cut the butter into small pieces and dot over the top. Bake for approximately 1 hour, stirring 2-3 times. Add cranberries and continue baking for an additional 20-30 minutes, stir 2-3 times and cook until cranberries have broken down to large chunks. Transfer chutney to a bowl and serve or to heat proof storage container (a large Mason jar works perfectly) and let cool, then refrigerate until ready to use. When you want to serve, reheat in the microwave or serve cold if desired. This can be kept sealed in the refrigerator for up to 2 weeks.